It is hard not to gasp at the implosion of British politics which is afoot. Theresa May must have shockingly bad advisors in her Downing Street bunker if nobody there warned her against her cack-handed attempt to mobilise the British people against her fellow MPs. Not only was her appeal totally politically tone-deaf. It was grossly dishonest. Attacking “arcane” parliamentary stratagems and game-playing by MPs was utter hypocrisy coming from the lips of a person who had given her MPs and ministers a free vote on a motion to rule out a no-deal Brexit but who then outrageously (and unsuccessfully) re-imposed the whip when the motion was amended so as to make it unconditional. By attempting to defeat that amended motion, May demonstrated two things. She showed that she wanted to retain the threat of a no-deal crash-out as leverage in her dealings with the EU 27; she also demonstrated that appeasing the ERG and the DUP was a greater political priority than attempting to achieve a cross-party consensus. What chance has she of getting a majority vote for her deal next week? Why would Labour MPs want to save her bacon, given that she has flatly rejected their ideas at all stages. Why would the ERG and the DUP throw in the towel when many of them secretly crave a crash-out? Is there a House of Commons majority for any alternative deal? Why should the SNP vote for any Brexit package when they are fundamentally opposed to Brexit? Why should the Liberals do so? Perhaps they might see a Brexit based on a customs union as reversible but that strategy would be a political long-shot. Is revocation of the UK’s Article 50 notification a runner at all in any imaginable scenario? I can’t see it happening. Is a People’s Vote second referendum possible? How many Tory MPs would support it? It would need at least ten of them to break ranks to create a majority - and even then there would be Labour Brexiteers to take into account. The DUP would break your heart. By holding out against May’s deal they are actually opting for a hard border rather than living with a backstop which guarantees no hard boarder. Nobody believes that the back-stop would be permanent. But the DUP sees an illusory future threat to the union as a greater danger than the massive damage to the North that would flow from a hard border. They want to be semi-detached from the rest of the UK on social issues such as abortion and gay marriage and corporation tax. But they cannot live with the possibility that having an open border could mean some semi-detached regulatory distinctions within the UK. I am sorry to say it but their position is a disgraceful piece of ideological buffoonery. And their Tory friends in the ERG are no friends of the people of Northern Ireland. They have formed an alliance of extremism based on an imaginary view of the strength of the UK which is on a down escalator of decline as the Dutch prime minister, Mark Rutte, has pointed out. The DUP are a very serious danger to the people of Northern Ireland. Their brief moment of leverage holding the balance of power at Westminster has gone to their heads. They are using that leverage to imperil the North and the union. They are extremely unlikely to hold the balance of power after an election. At that point, they will be ignored as the North weakens and stagnates. Their gamble may be that they can bring down Theresa May and dictate who will succeed her. That gamble will fail. I don’t think that they will be rewarded by Boris moving into 10 Downing St. If Theresa May is succeeded by a Tory prime minister in the short run, the new incumbent will make it a priority to ditch the DUP as soon as possible. Then the cost of the DUP’s brief moment of glory will be borne by the voters of the North – if they have brought about a crash-out Brexit in the next few weeks. Readers of this column will know that I am not in any way enthusiastic about Emmanuel Macron, the French president. His contribution to the European Council meeting last Thursday and in the hours preceding it was very unhelpful and almost reckless. It’s all very well to throw shapes for domestic political consumption in France but engaging in crude brinkmanship with the United Kingdom Government was of no assistance to anyone in the EU or in the UK. His self-importance characterises everything that he says and does. He has one of the lowest approval ratings among French voters of any president with the exception of Francois Hollande. The yellow vest protests which he is struggling to contain are a symptom of French disenchantment with his presidency. 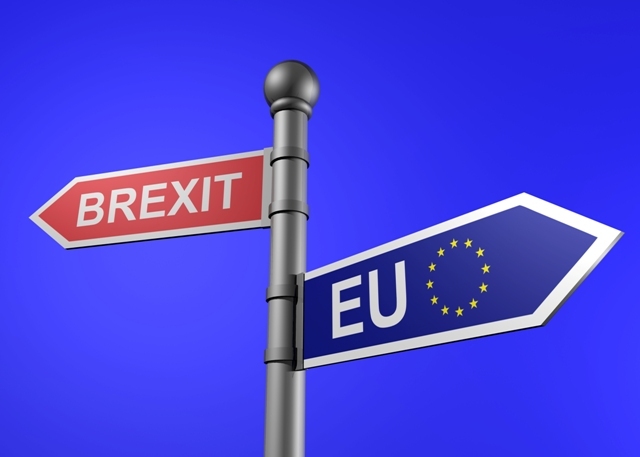 The firm but reasonable approach adopted by the EU 27 to the Westminster circus should be signal enough to the UK that a no-deal Brexit will be made as unpleasant as possible for the UK if they choose to go down that path. The consequences for air transport, expatriates, legal and social welfare status, educational cooperation, roaming charges for phones, motor insurance for tourists, access to health services and other similar matters of concern to ordinary people will not be lost on the permanent government of civil servants in Whitehall. But the adverse economic consequences of a no-deal Brexit are now beginning to sink into the UK’s collective political consciousness as well. We in Ireland have a huge amount to lose if there is a no-deal Brexit. We can’t afford to engage in brinkmanship such as that practised by Macron. There is simply far too much at risk for us. One way that might have been considered to circumvent the opportunistic Westminster opposition to the backstop might have been to offer the people of Northern Ireland the right, by plebiscite, to bring the backstop to an end or to vary its terms after a number of years. While this idea was floated, it never seemed to gain any currency in public discourse. Such a safety valve for the people of Northern Ireland in relation to the Brexit backstop could have left the DUP off the hook but, alas, they are still standing out on a ledge created for them by their ERG friends. One way or another, it looks as if the shambles at Westminster must be resolved over the next few weeks. We in Ireland can only hope that reason will prevail. What can we say about Westminster? Mother of parliaments? Mother of jaysus!